A Colorful Chaos: August 10th - National S'mores Day! August 10th - National S'mores Day! Hope you had a good weekend! Did you know last Sunday, August 10th was National S'mores Day? Well, there was no way we were going to let it slip by without us noticing. Especially since we LOVE s'mores! Even (one of our) favorite local ice cream places in town serves a s'mores custard, and it is absolutely delicious, and Paula's favorite! 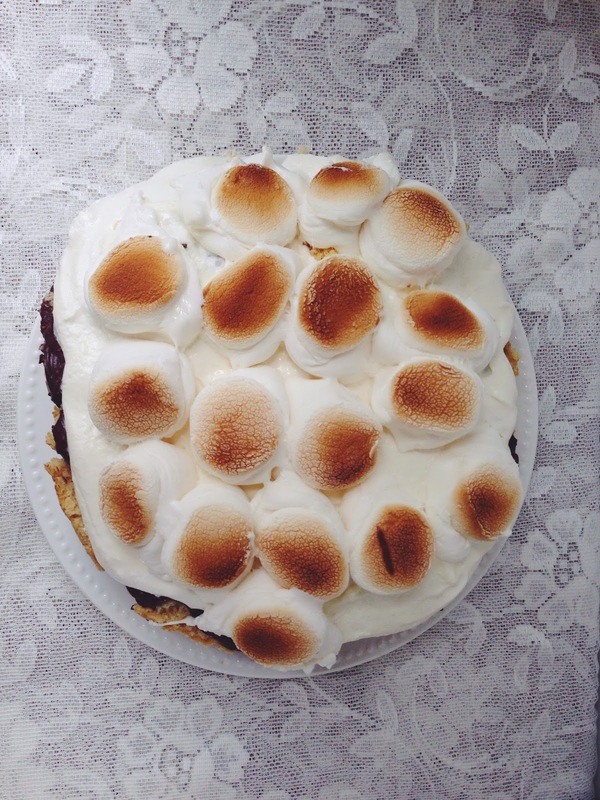 So in honor of one of our favorite treats, we decided to celebrate with a s'mores cake that we were dreaming about back in June in our Sweet Summertime Favorites post. Refer to this recipe for more! Yum! It may not have turned out as flawless as the professional's, but boy was it delicious! Our s'more craving has certainly been satisfied. Happy National S'mores Day!